I did a quick search for this, and I didn’t quite find what I was thinking about. I definitely don’t have all the information to definitively write on this topic – but this is a blog post. I can try out an idea. 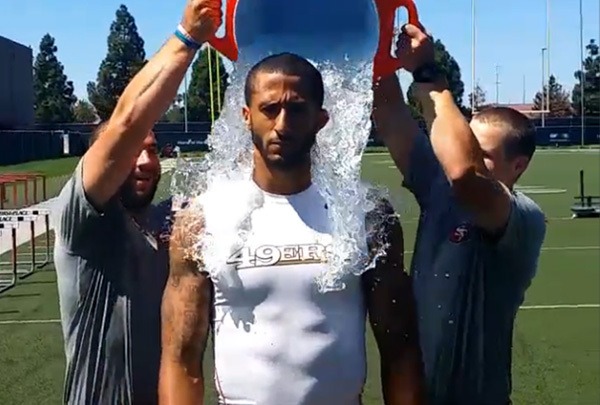 It has been a few weeks of #ALS #icebucket challenge videos have been posted. 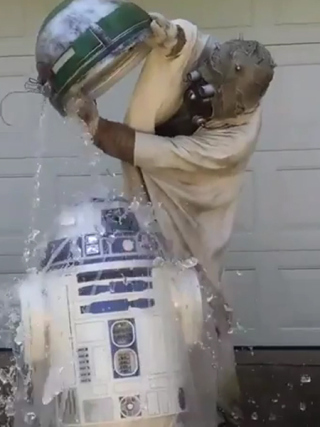 I had a great time seeing friends succumb to the pressure of being ‘called out’ to take the #icebucket challenge. You know it’s not the first time we’ve seen this, but it won’t be the last challenge I’m sure. You know how it goes. You see one. You hope you don’t get called out. Then you start seeing more and more of it. You start seeing people that you would never think would do it – but they posted a video. You start seeing more of your friends. Then you see celebrities. 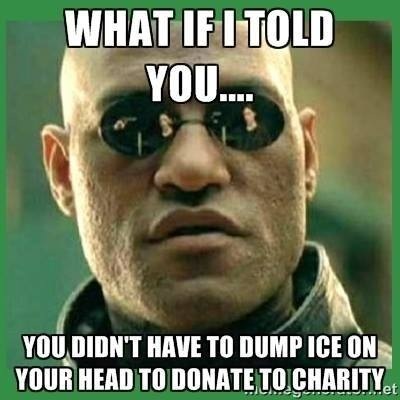 Next thing you know – it’s taken over and everyone it seems is posting their version of the #icebucket challenge. It’s getting bigger. I’m seeing videos that are hybrids of the original. It’s the natural progression it seems. About a week ago, I started seeing posts like this. Even fictional characters are doing it. 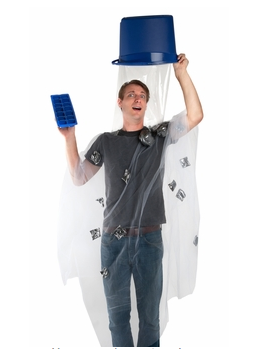 You know you can buy an outfit for halloween that’s represents it. It starts off funny. Then it starts getting ridiculous. It’s a fascinating study to me. Peer pressure. Ridiculousness. Funny. And and let’s not forget, it’s raised a ton of money for the ALS. 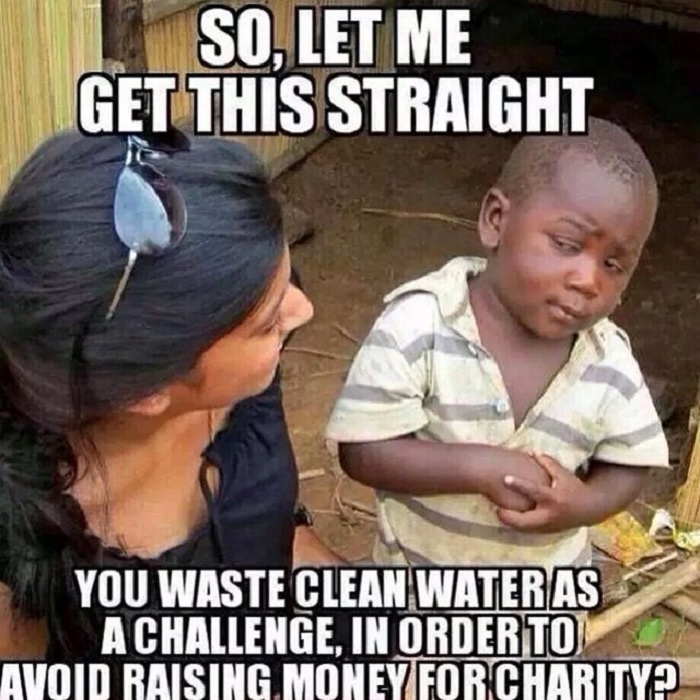 Yes, we’re wasting water – by not doing the #icebucket challenge over the grass. It’s creating awareness. The Life Cycle though is that it starts with a few and maintains it’s integrity. Then a bunch of people jump on. Then people start to make fun of it or maybe form an opinion of it. Then it starts getting ridiculous. It always seems to end in a super angry or super ridiculous place. I’m not an expert in this. I am sure there are more eloquent scholars writing on the life cycle of a post. I do think that the videos are an amazing display of identity. The last video that I saw was a tractor bucket filled with hundreds of gallons of water – with the caption being that some other people were going to out do this. I’m not saying its right or wrong, or even good or bad. I’m just saying that the fact that you created a video and how you did it says something about you. That’s all.